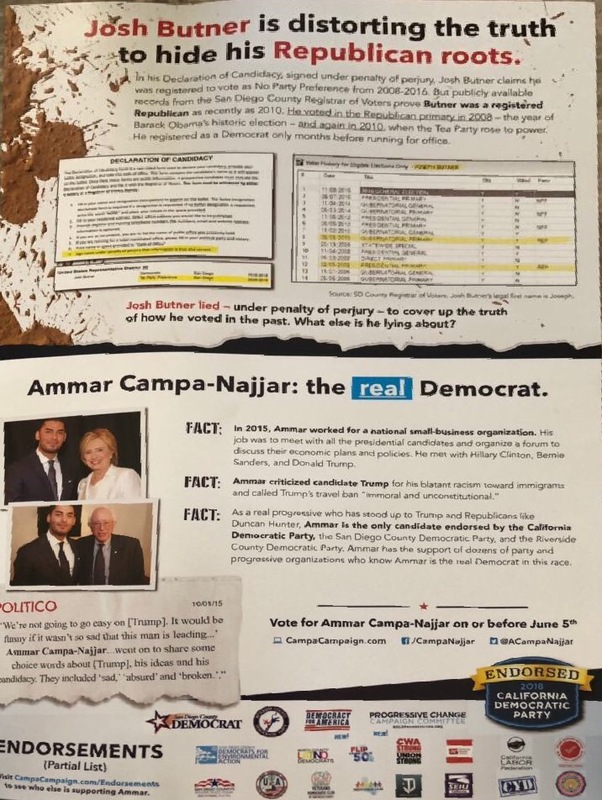 This propaganda piece was created by Ammar Campa-Najjar for Congress against Josh Butner in the 50th Congressional Primary election. 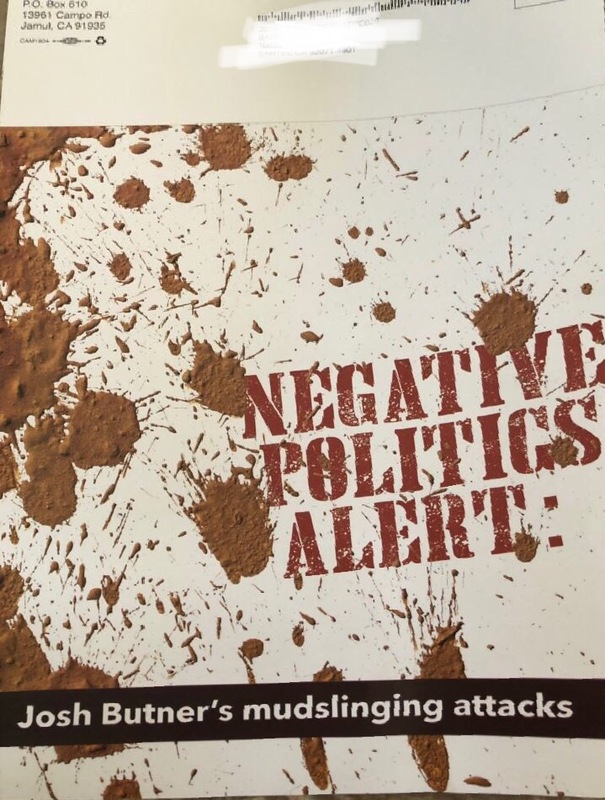 Received by voter on 05/16/2018 via mail. This entry was posted in Literature Piece on May 19, 2018 by administrator.